Stands for school boards and maps | 2×3 S.A. 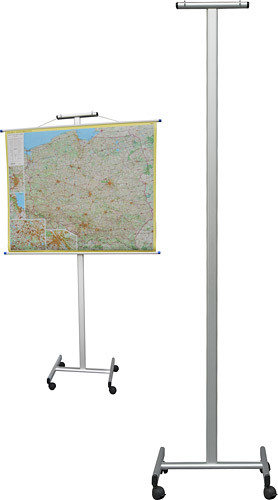 Stand indispensable in every classroom where traditional maps and cards are being used. Light aluminium construction and base with wheels ensures easy transportation and stability. More advanced solution for more demanding – mobile stand with lockable castors and adjustable height which ensures easy hanging at different level.